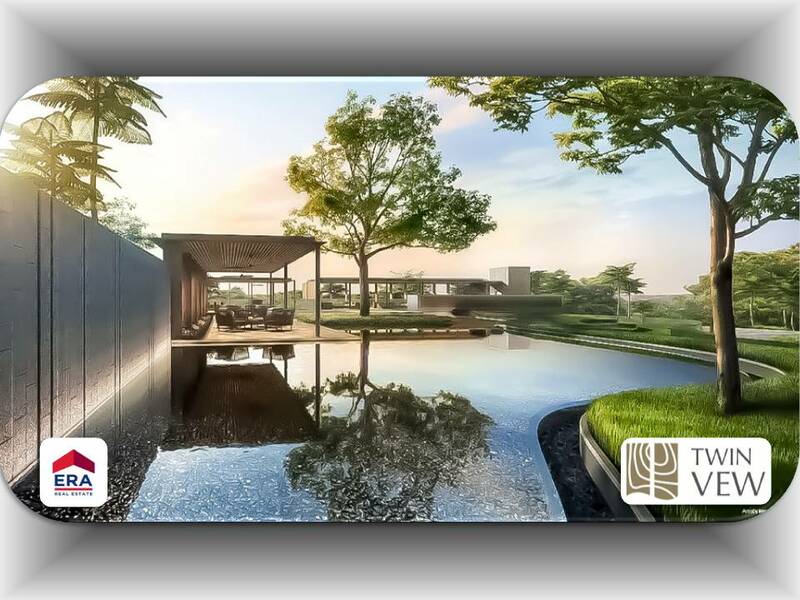 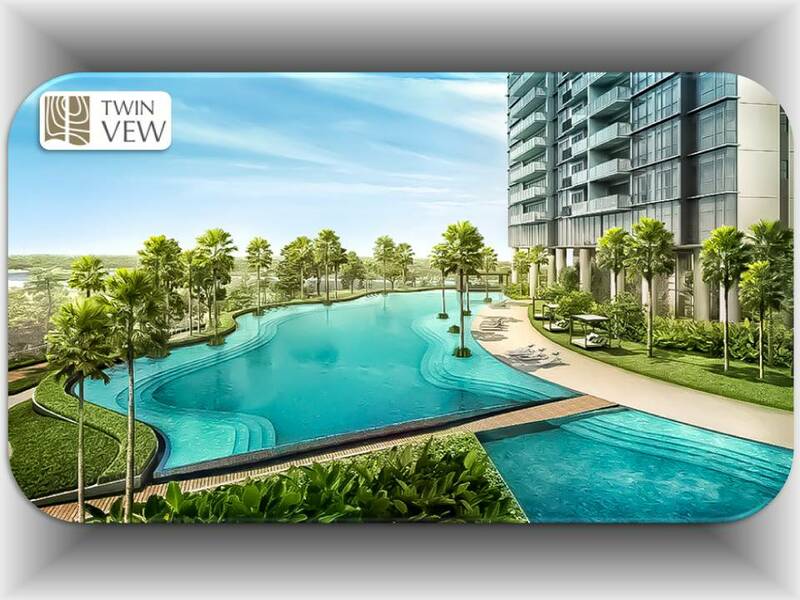 This development benefits from the attributes of being located in between two cities – the Central CBD and Singapore’s Second CBD – Jurong Lake District (JLD), heralding a new era of work-play-live right next door to home. 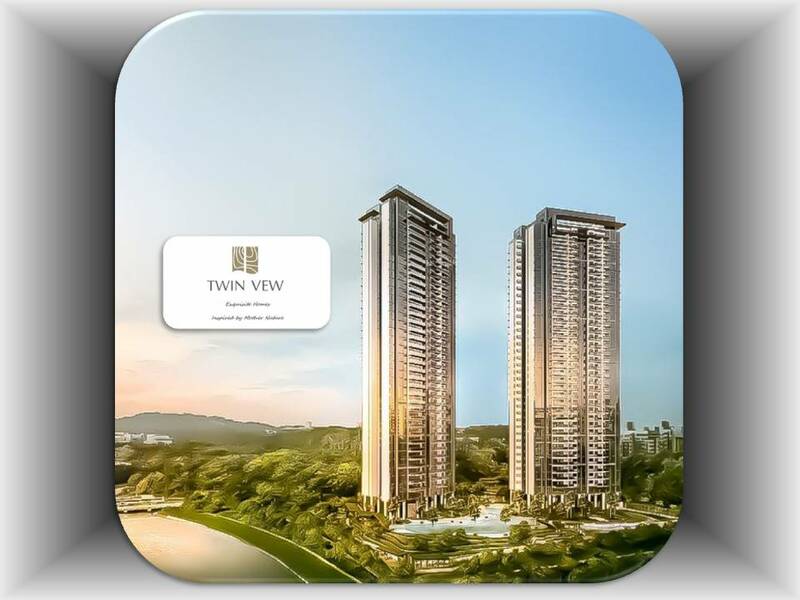 Two modern 36-storey towers in clean lines & generous use of glass fenestration, shaped up a timeless and chic architecture by the river edge amidst lush greenery. 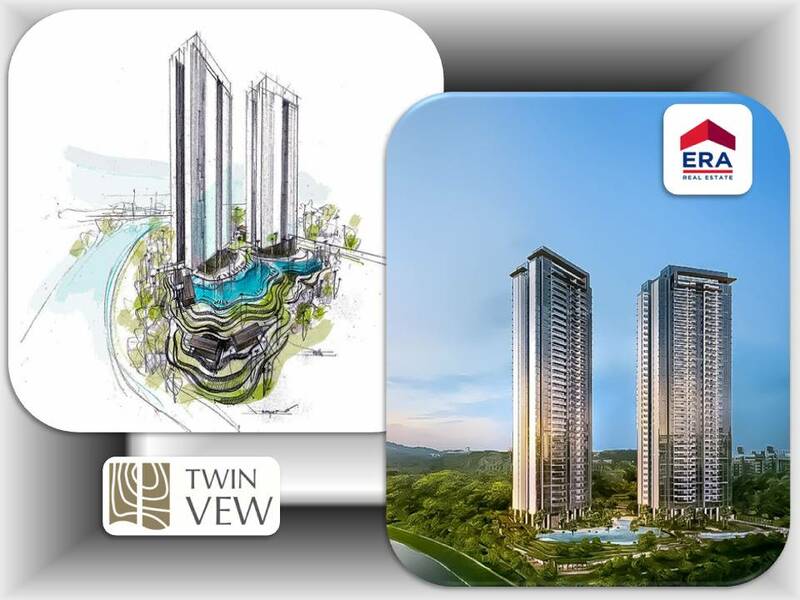 2 Towers of 36-storey with 1 childcare centre, 2 shop units, 2 levels of basement carparks and recreational facilities on e-deck & sky terrace. 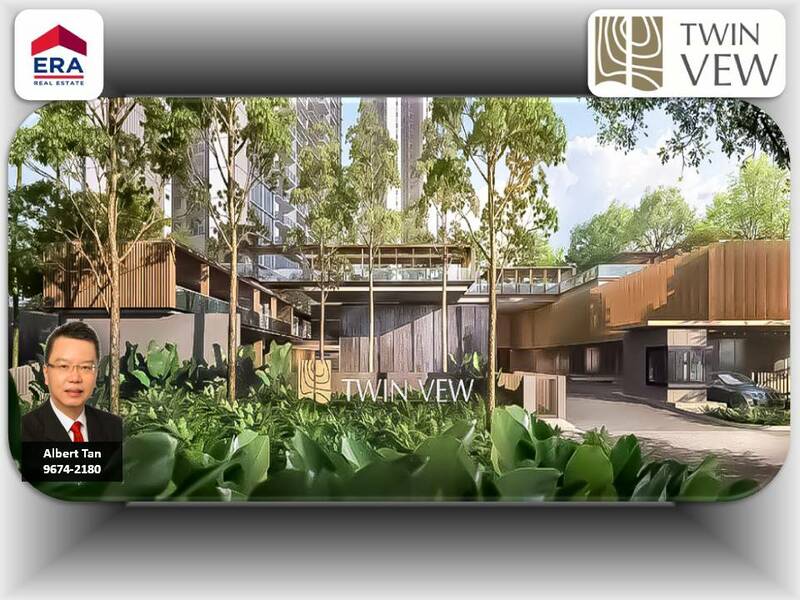 Development Twin VEW; District 05; 91 and 93 West Coast Vale. 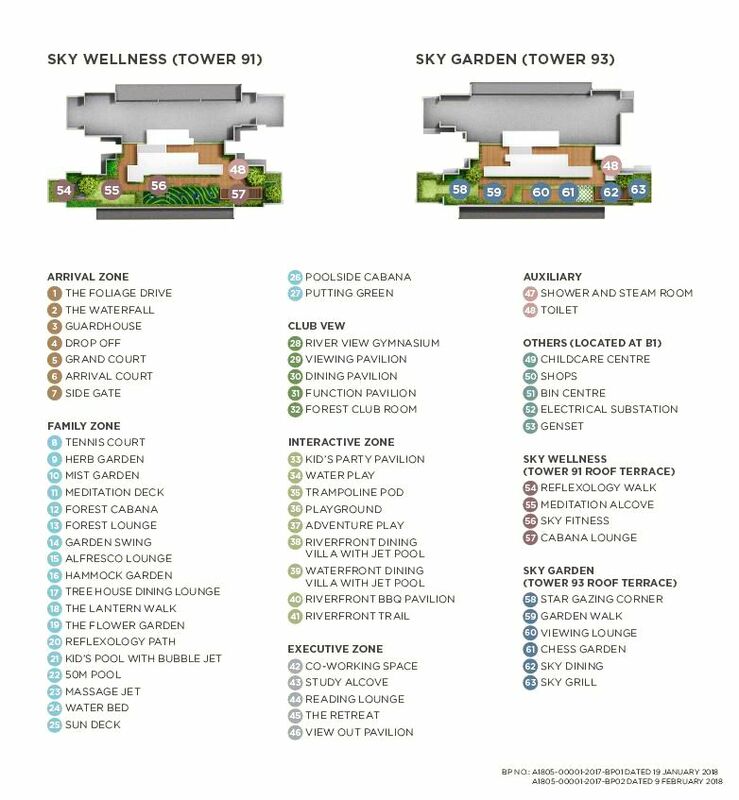 Proposed Residential Development comprising 2 Towers of 36-storey with 1 childcare centre, 2 shop units, 2 levels of basement carparks and recreational facilities on e-deck & sky terrace. 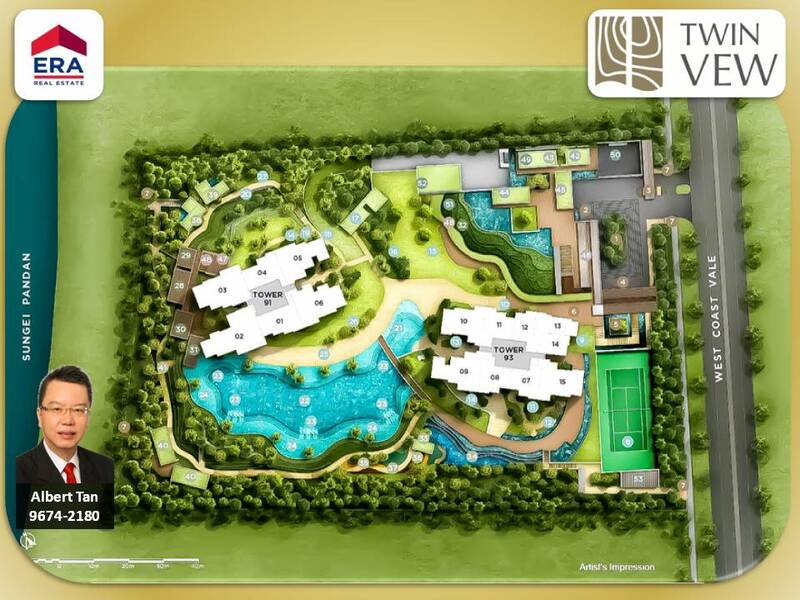 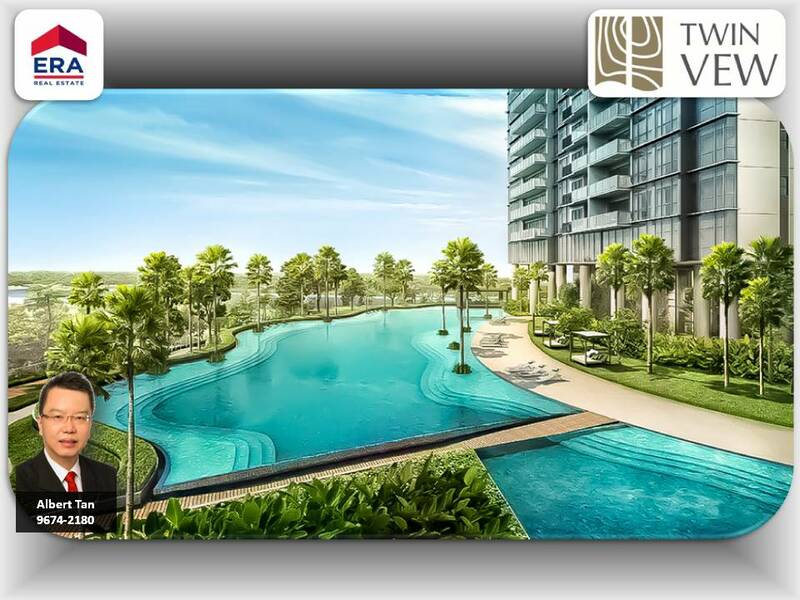 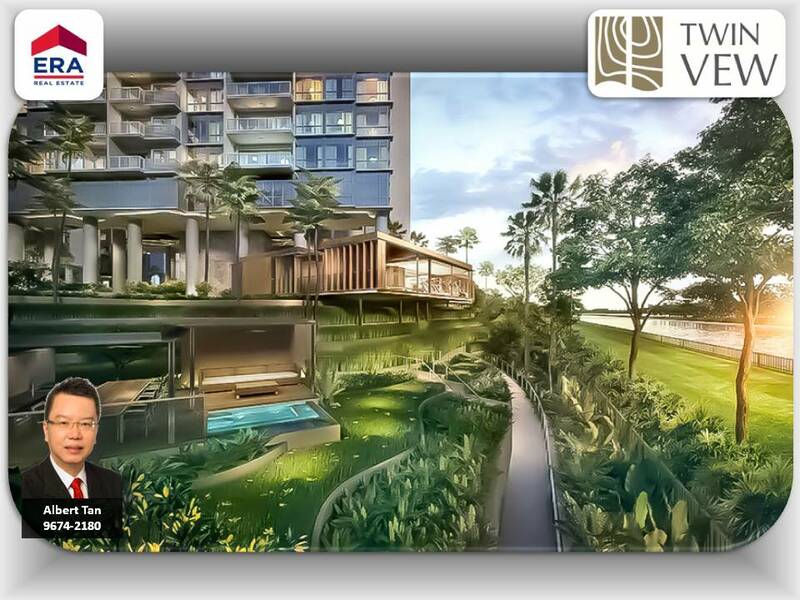 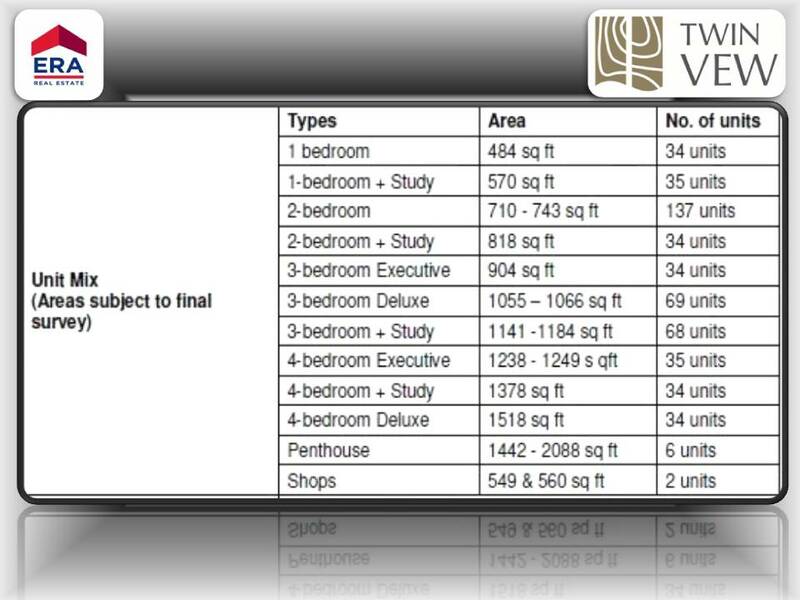 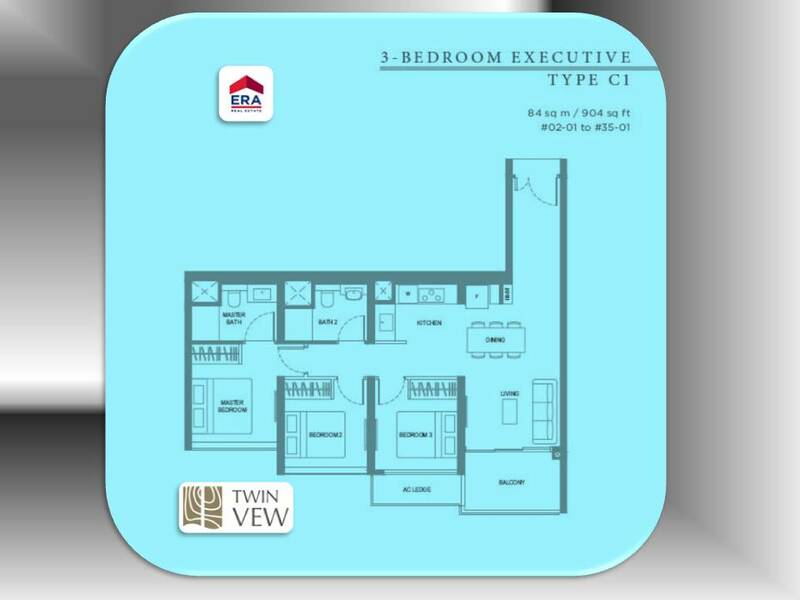 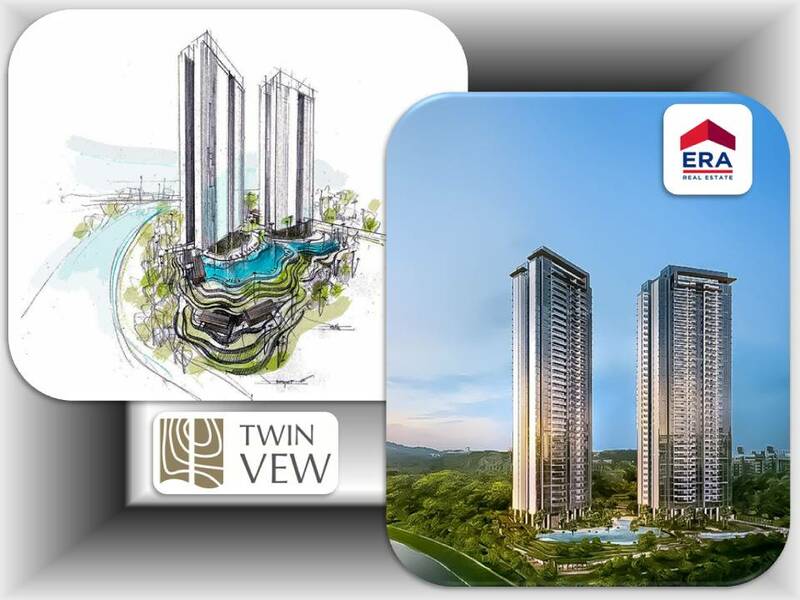 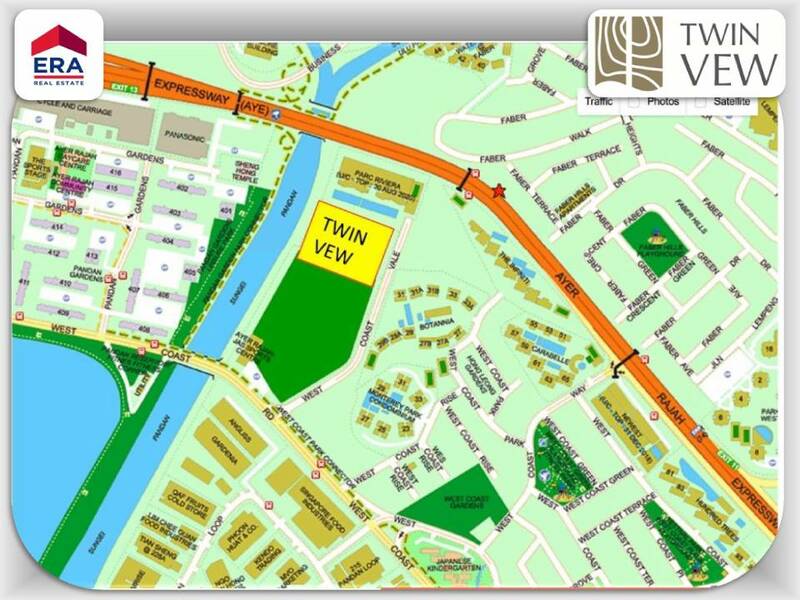 Located along West Coast Vale, Twin Vew can be easily accessed via the Ayer Rajah Expressway (AYE). 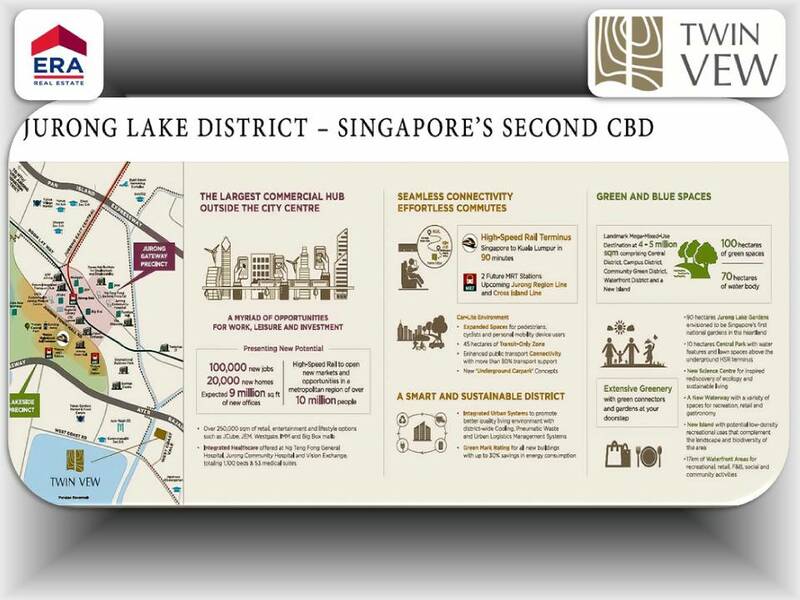 The development is located near the Jurong Lake District, the second Central Business District in Singapore. 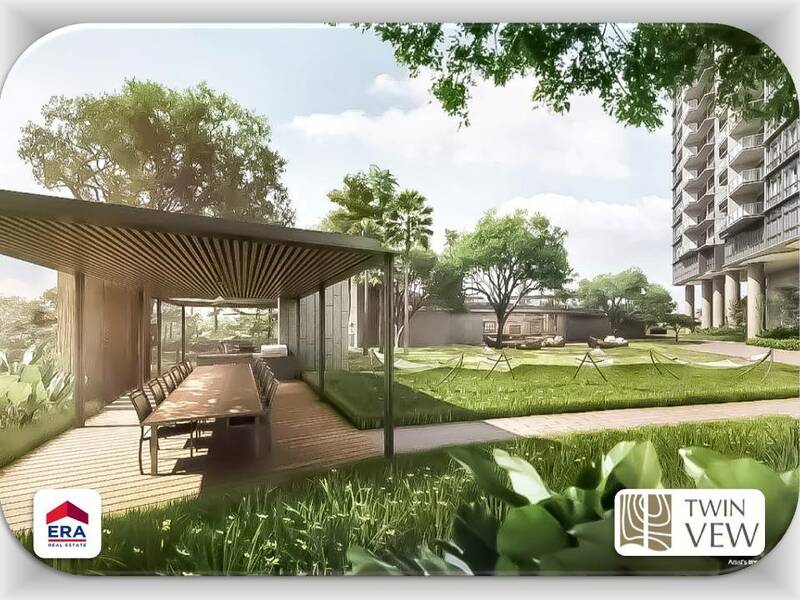 The transformation of the District will significantly enhance the public transport infrastructure and the amenities in the area. 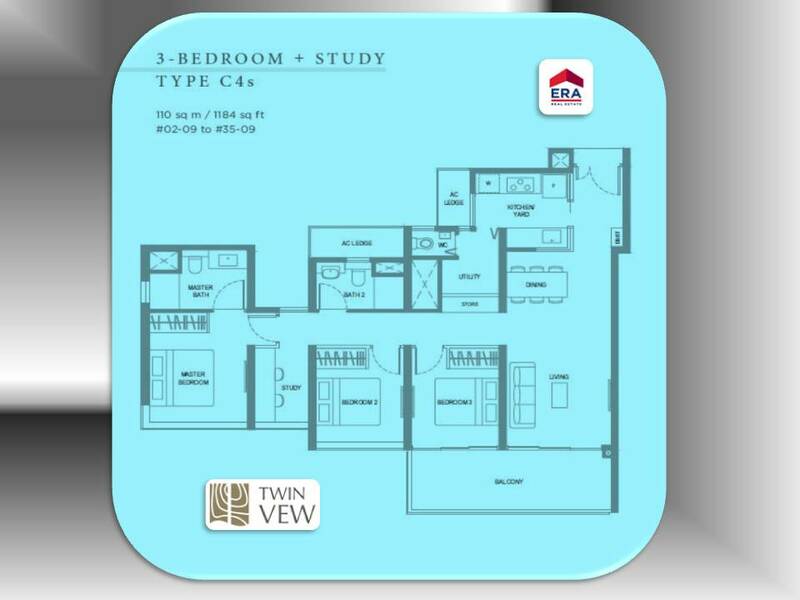 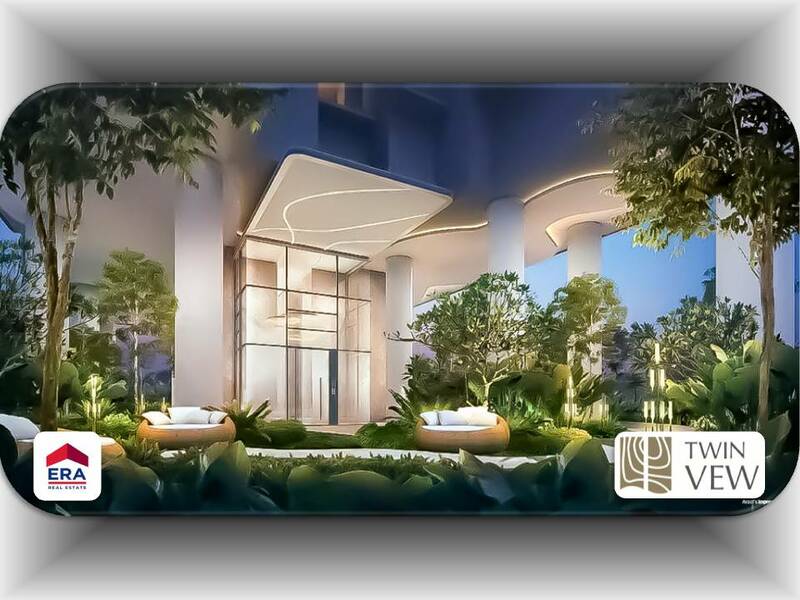 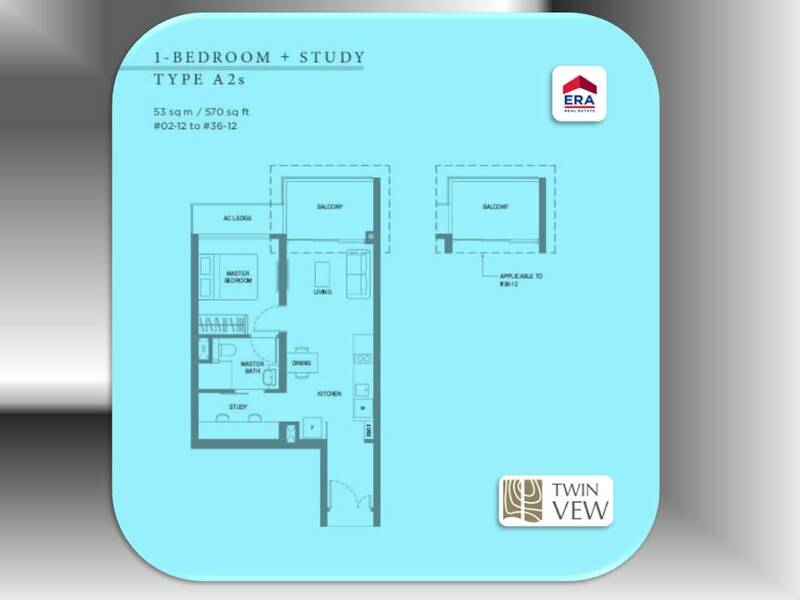 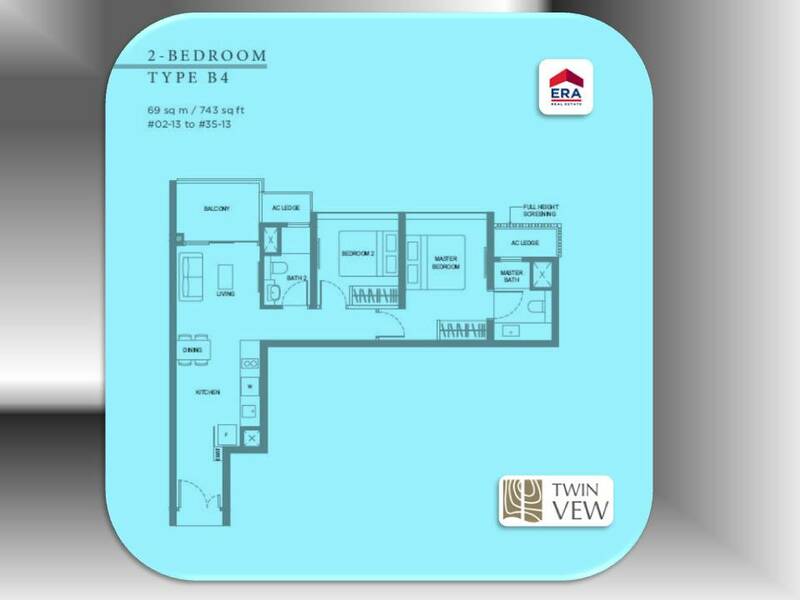 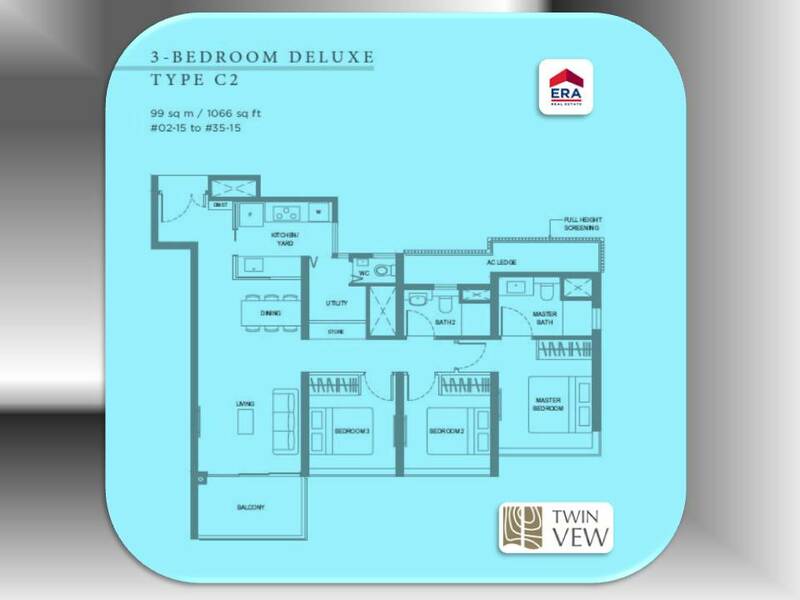 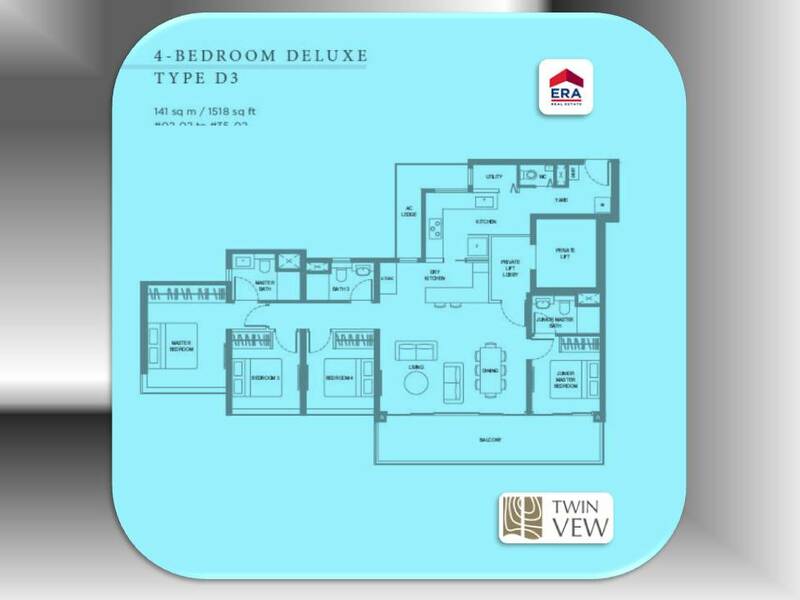 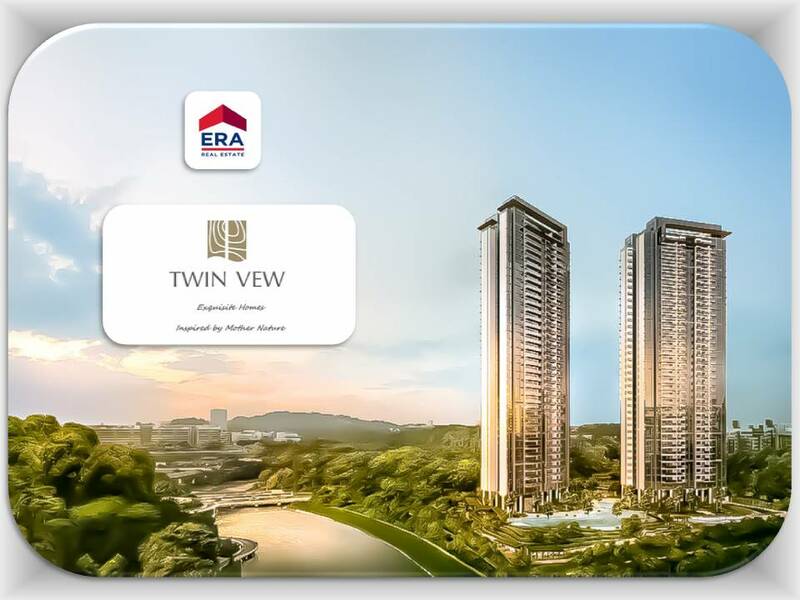 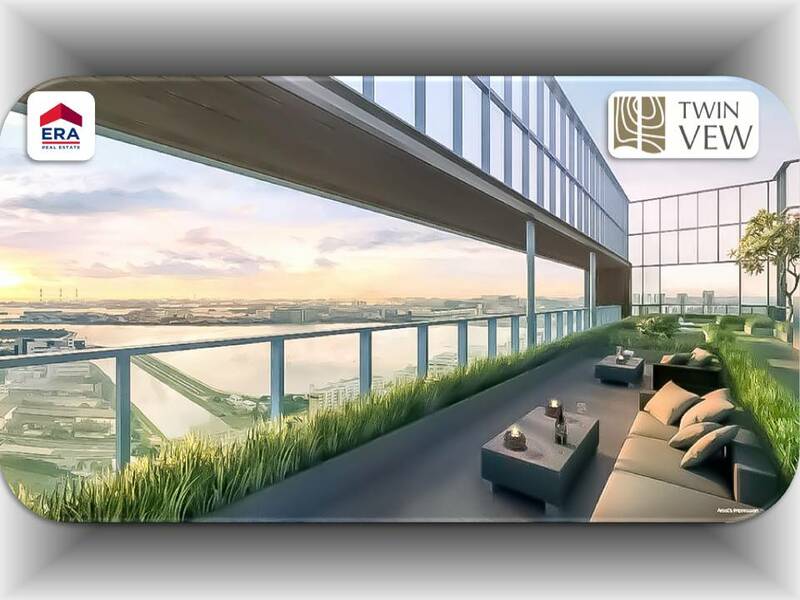 Twin Vew is only a few minutes’ drive away from Buona Vista and One-North, where numerous research institutes and startups in Biopolis, Fushionpolis and Connexis are located. 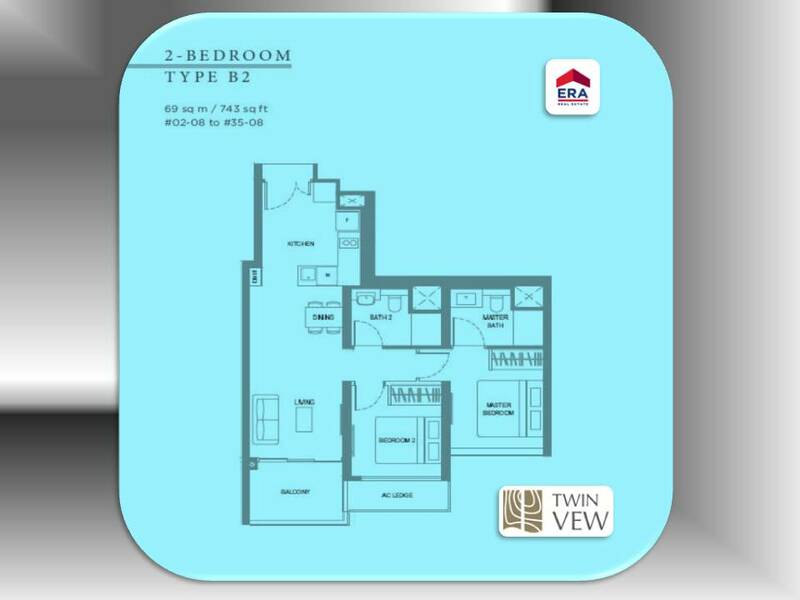 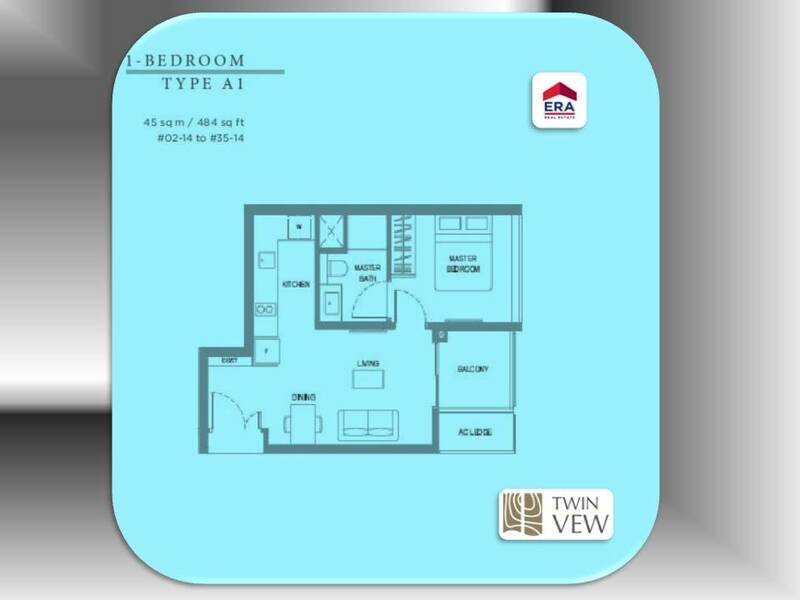 Thus, Twin View could enjoy great rental potential as there is a large pool of expatriate workers. 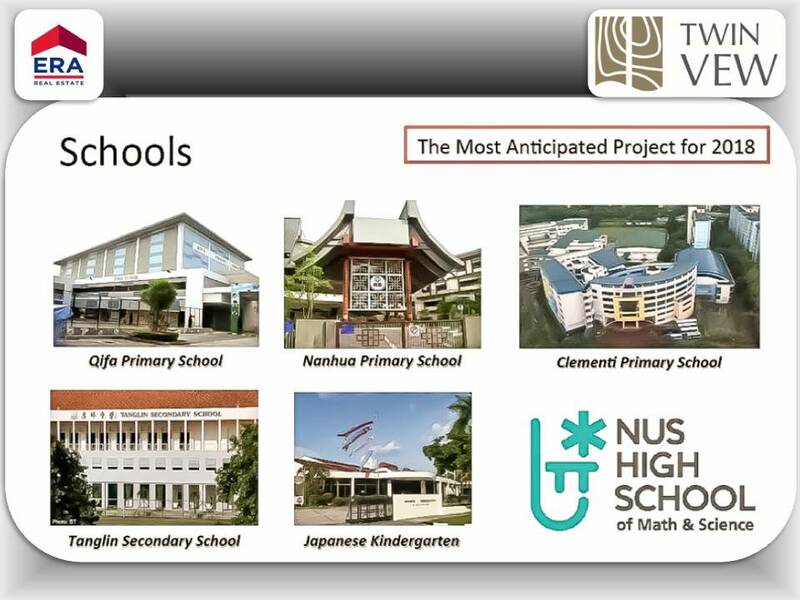 Top-notch educational institutions in the surrounding include Nan Hua Primary School, Qi Fa Primary School, NUS High School of Math and Science and National University of Singapore. 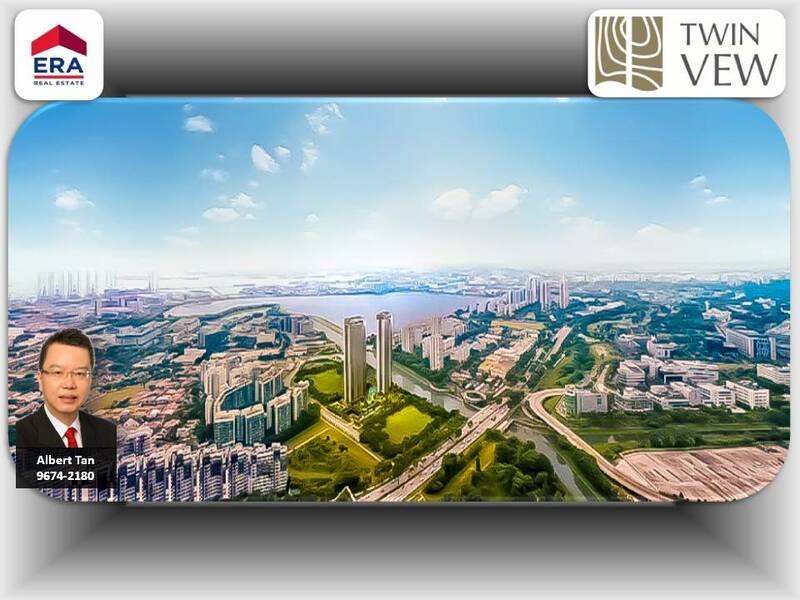 Nearby shopping centers such as The Clementi Mall, Westgate, JEM and JCube offer the residents of Twin Vew unparalleled convenience and a great variety of dining, retail and entertainment options. 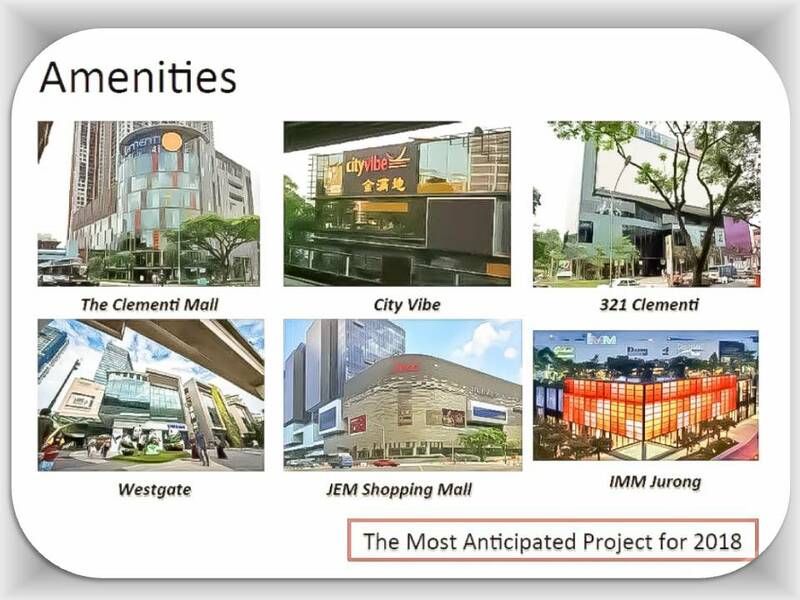 Some amenities including Westgate Wonderland at Westgate and Olympic-size ice rink at JCube would be especially appealing to the families with children. 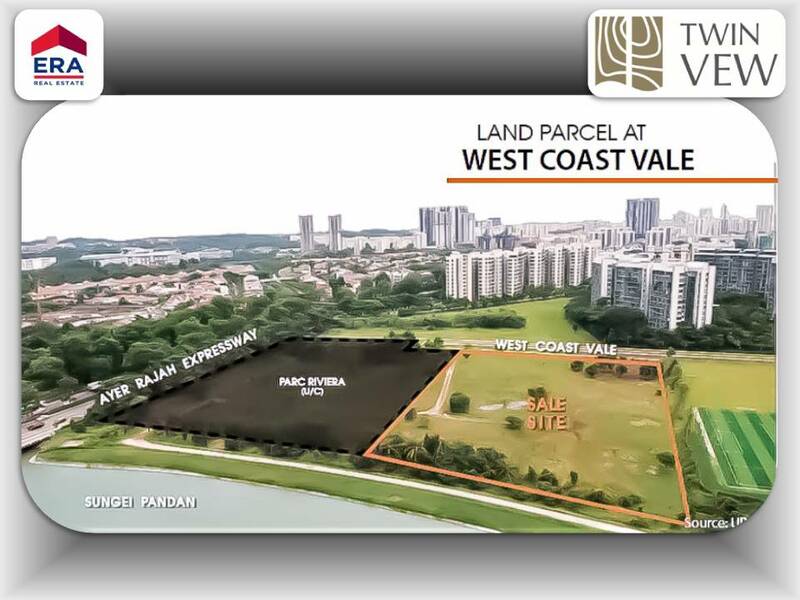 © 2019 (twinvew-westcoast.push.sg) All Rights Reserved.